The highly anticipated artist lineup for the Coachella Music Festival has been announced! Among the large variety of artists slated to perform is none other than girl group Perfume! This will mark the very first appearance at the festival for the girls. Perfume will performing on Sunday April 14th, the third day of the festival. They will return on Saturday April 21st. The first day of the festival will happen on April 12th. On the days Perfume will be performing Ariana Grande will serve as the headliner. Khalid, Zedd, CHVRCHES, and Bad Bunny will also be hitting the stage on those days. 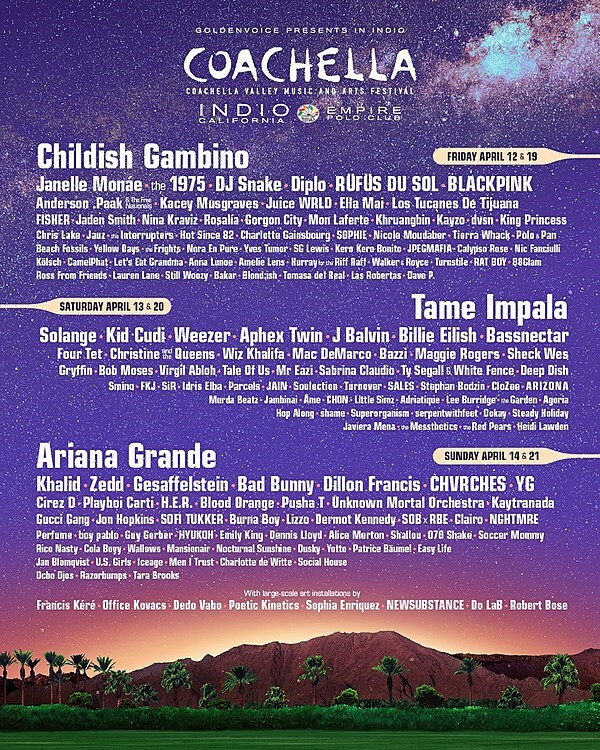 Check out the entire lineup for the 2019 Coachella Music Festival below.